Pastor Leo grew up in Southern New Jersey. 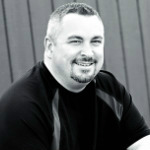 He is a graduate of Southeastern University in Lakeland, FL with a BA in Church Ministries. He is also a graduate of Zion Bible College (currently in Haverhill, MA) with a Diploma in Biblical Studies. Leo became an Ordained Minister with the Assemblies of God in 2000 and has served in several churches and in various capacities. Leo became Lead Pastor at First Assembly of God in January 2011. Leo is married to Jeannie Dodd and they have four children. 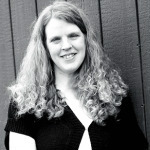 Jeannie is a graduate of Southeastern University and holds a BA in Pastoral Counseling. She became a Licensed Minister with the Assemblies of God in 2009. She has over ten years of experience in ministry to children, youth and adults. She is married to Pastor Leo and is a mother of four.